“Lakou Mizik,” say the members of Lakou Mizik, “Is Haiti”. Lakou Mizik is Haiti because group is a stupendous crucible of the music of Africa, New Orleans and Europe too. It’s French, it’s Creole, it’s African jive and if there was more to Haiti, then the band would be that as well. 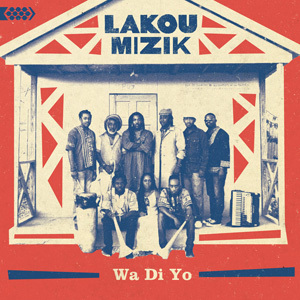 This album Wa Di Yo certainly captures the signature sound of Lakou Mizik, but to really experience them is all their dimensions they must be heard live or on film. 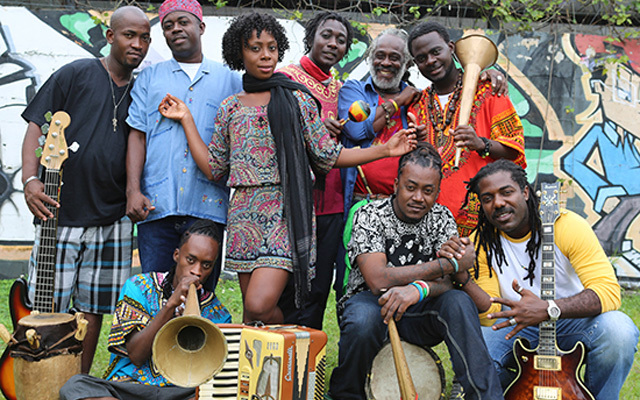 Few groups outside continental Africa convey the joie de vivre that this Haitian band does. It was formed, we are told, in the aftermath of the 2010 earthquake that devastated Haiti but listening to them play, you would think that they were age old. That feeling must surely come from listening to Jonas Attis sing as he whirls shaking his colourful maracas. Attis is the elder statesman of group, a sagacious figure who finds the guiding spirit in the lyrics of the music that he is largely responsible for producing. 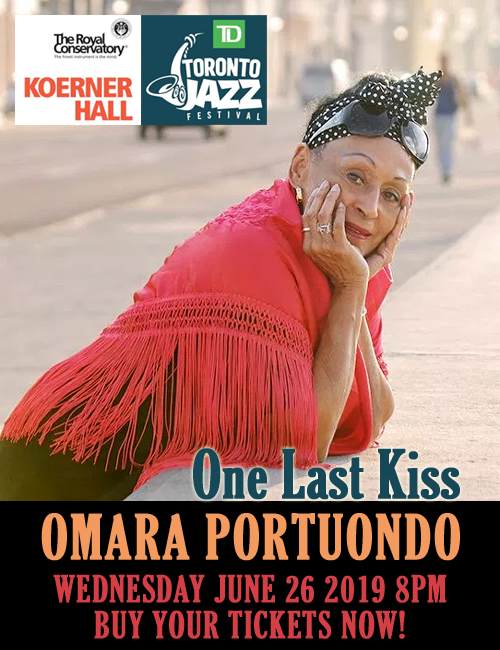 His raw and wondrous voice is bathed in Haitian sunshine and his vocals are infectious, touching every member of the ensemble, causing them to raise their voices and instruments up to the spirits in the sky. The Afro-Caribbean beat encompasses a vast musical topography bathed in the glow of Haitian métier and courage. So now, the feeling among the group that ‘Lakou Mizik’ is Haiti becomes all the more real and significant. You do not really need to speak, or even to understand Haitian dialects, to respond to Lakou Mizik. It will surely help, but a good interpreter would also do, or alternatively a lyric sheet with the package. However, if you are caught sitting down when the music is playing instead of shuffling your feet and cutting the carpet, then you are missing a trick or two. The infectious rhythms might seem simple, even elemental, but the visceral magic is unmistakable in this entire repertoire. Listen to ‘Bade Zile’ a fleeting panoply of Haitian roots music and you will hear what I mean. You can also hear magical and mystical things happening on ‘Wa Di Yo’. Cumbancha, the label that brings some of the world’s least-known artists to the world is responsible for this production. The musical footprint of Cumbancha is global and thus bestriding the world we are privileged to share their musical sojourn to places we might have otherwise missed. At some stage, though, some visual documentation would add volumes to these precious little recordings. For instance Cumbancha’s extraordinary Garifuna recordings are worth their weight in gold, but the three recordings release so far would greatly benefit from video documentation or at least more elaborate album notes. Likewise this release by Lakou Mizik. There is much to tell in both instances and if the music released so far is any indication only Cumbancha could tell it like it is. Track List: Intro: Morning in Jaemel; Poze; Panama’m Tonbe; Anba Siklòn; Bade Zile; Tanbou’n Frape; Peze Kafe; Pran Ka Mwen; Is Fa Ti Bo; Parenn Legba; Wa Di Yo. Personnel: Steeve Valcourt: guitar, vocals; Jonas Attis: vocals; Louis Lesly Marcelin “Sanba Zao”: tambour, percussion, vocals; Nadine Remy: vocals; Lamarre Junior: bass, bass drum; Woulele Marcelin: tambour, percussion; Peterson Joseph “Ti Piti”: cornet; snare, percussion; James Carrier “Ti Malis”: cornet, percussion; Belony Beniste: accordion; Chris Velan: guitar (2, 4, 6, 7, 8, 9, 10, 12), banjo (3).